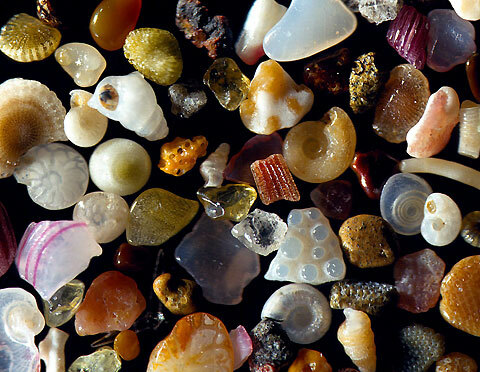 The above picture is magnified sand. Thats right regular sand from the beach, you know the stuff that gets into your bathing suit, and creeps into the floorboards of your car...and NEVER GOES AWAY!!! The other day I was surfing around the internet and even came across an anti-sand towel, because its just so annoying. But, when you look closer at the sand its gorgeous! There are vibrant colors, beautiful curves and elegant shapes. Sure on its surface sand is a brownish, gritty irritant, but when we look deeper its a work of art. In our own lives it is so easy to get irritated, to get bothered, to just see sand. But as we approach the Jewish New Year, lets look below the surface, lets look at the hidden beauty embedded deep within our everyday lives. Posted on August 19, 2013 by shlomo elkan.